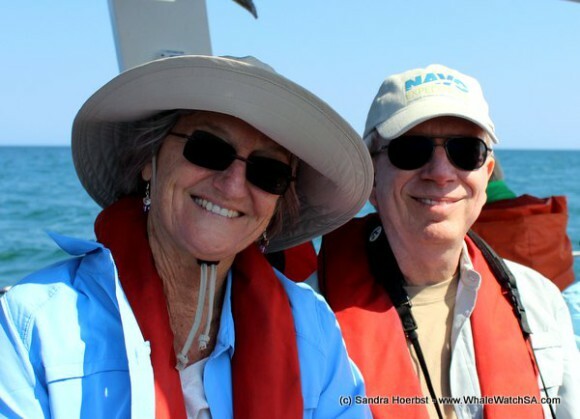 During the morning the wind calmed down so we had a nice flat sea the whole afternoon. 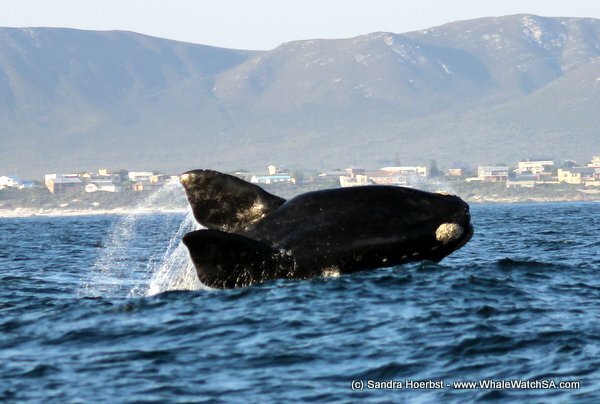 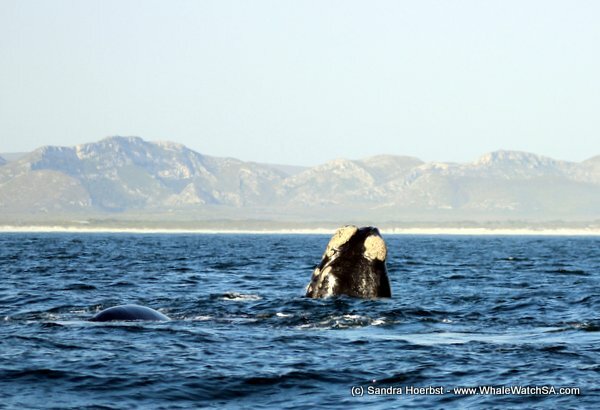 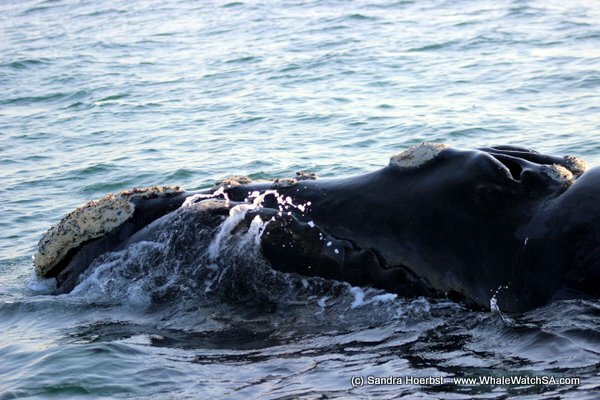 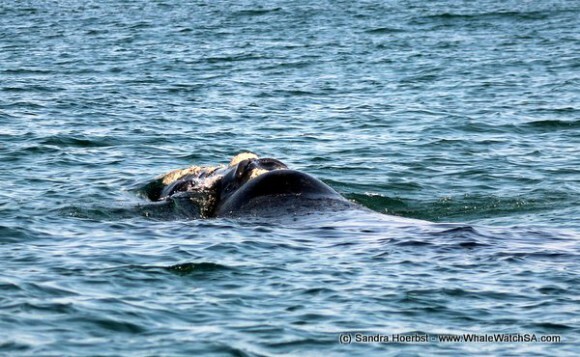 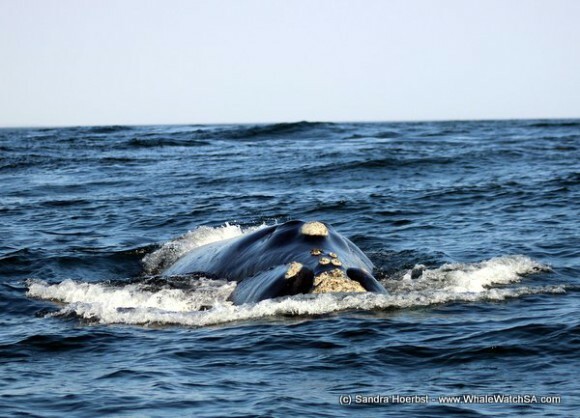 Shortly after leaving the harbour we found a Southern Right whale in front of Franskraal. After joining this whale for a while we headed towards Pearly Beach again, to find some more whales. 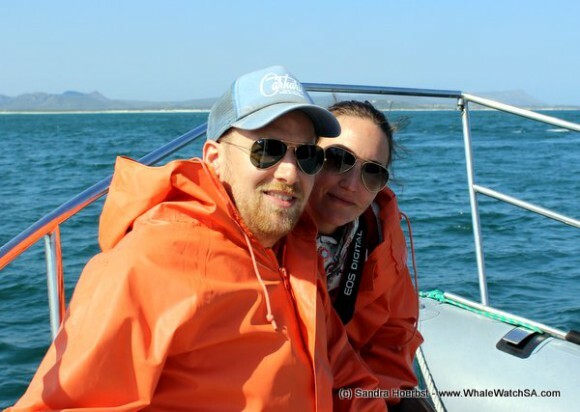 On our way, we also stopped in the shallows where the shark cage diving vessels were anchored, to see a Great White shark. In the Pearly Beach area we found some more Southern Right whales relaxing in the water. 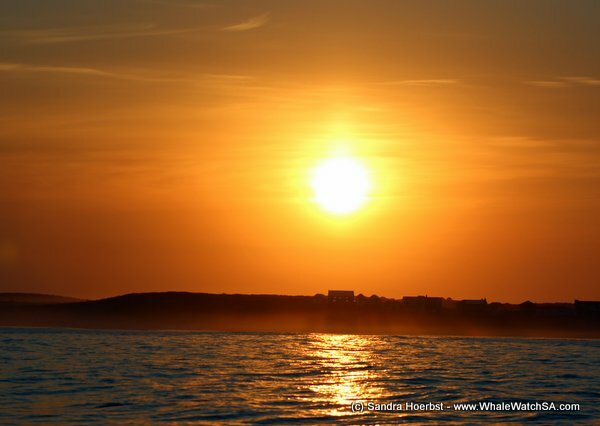 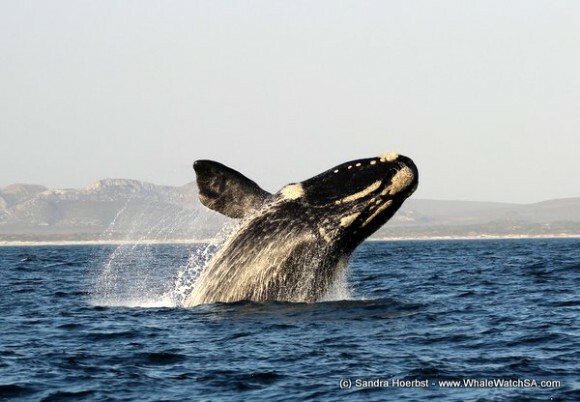 On our second and last trip for the day we spotted a whale close to Kleinbaai and a mating group with two brindle whales in Pearly Beach. While slowly moving off the whales one whale decided to give us 6 breaches in a row to say good bye. What a spectacular show! 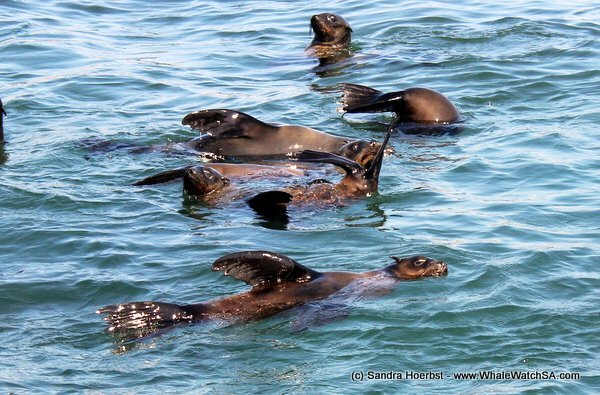 Many happy Cape Fur seals played in the water around Geyser Rock today. 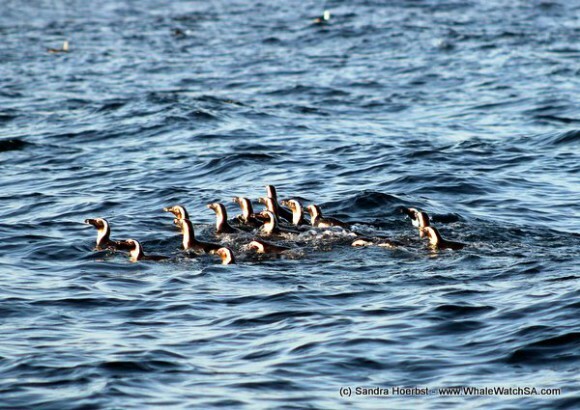 On the way back we spotted a big raft of African Penguins close to the boat. The day did end with a beautiful sunrise, you could not ask for a better day!